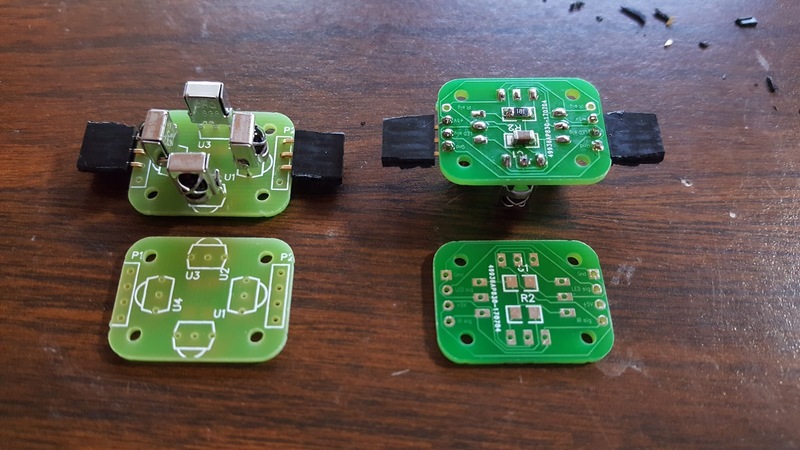 New PCBs for the infrared sensors arrived as well as infrared sensors. These sensors were significantly less expensive but the quality may be less. Hopefully, using four together will make up for the difference in quality with a difference in quantity. Two of the boards were populated and their assembly was easier than the previous PCB revision but no less functional. 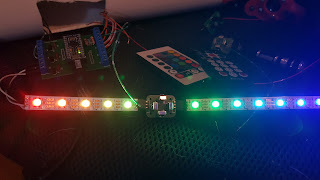 Once the boards were assembled, each board took less than ten minutes, they were plugged into the LED string for power and the signal wire was run to the controller PCB. 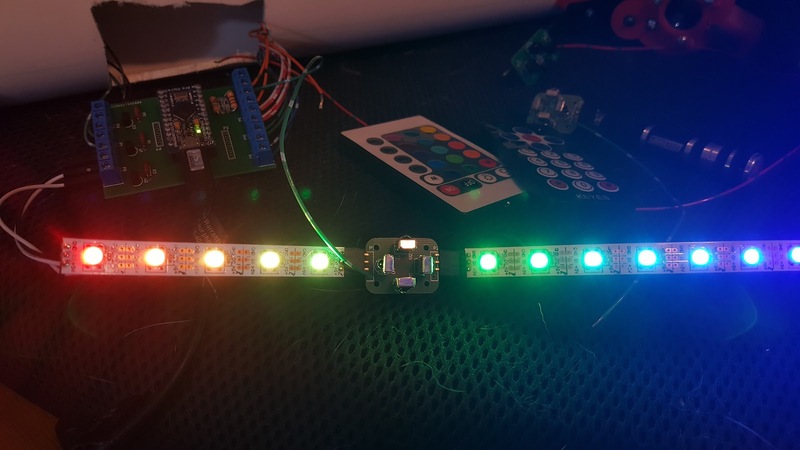 Each board tested well and reliable data was received from an infrared remote which was sent over the USB. 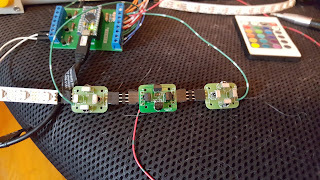 All the assembled boards were chained together, including the single sensor at the front of the tagger. Each signal wire was simply run to the same screw terminal. Somewhere it was suggested that an OR gate should be used to running these signal in parallel but this seemed unncessary.